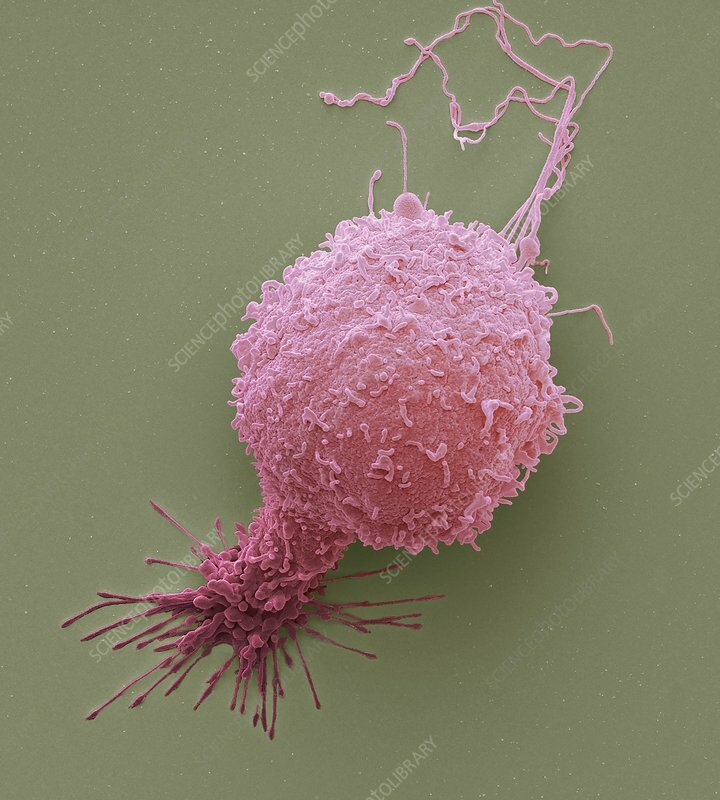 Prostate cancer cell, Coloured scanning electron micrograph (SEM). Such cells can clump to form tumours, which often invade and destroy surrounding tissues. The prostate is a small gland found in men just below the bladder, surrounding the urethra, the tube urine passes through. Prostate cancer is most prevalent in men over 50 years of age. Treatment is with hormone therapy, chemotherapy, or surgical removal of the prostate. Magnification: x 1500 when printed at 10 centimetres across.